I love cats, specifically internet cats. I follow cat Instagram accounts and coo over how adorable they are. The very meme that got me addicted to cooing at internet cats is I Can Has Cheezburger? It’s a website where people can submit photos of cats with terribly spelt captions. I spent hours in my fourth year of university scrolling through the whole collection until I reached the very end. Those cats are called LOLcats because the photos make people LOL (“laugh out loud”, not “lots of love”). It’s probably propaganda from Ceiling Cat to make people think that cats are intelligent but terrible at spelling. The reason why Mona Lisa smiles–she has a fat cat in her arms. Note the Mount Fuji on the left side of the painting, it’s a deliberate choice by the artist to give it an “Oceanic” flavour. 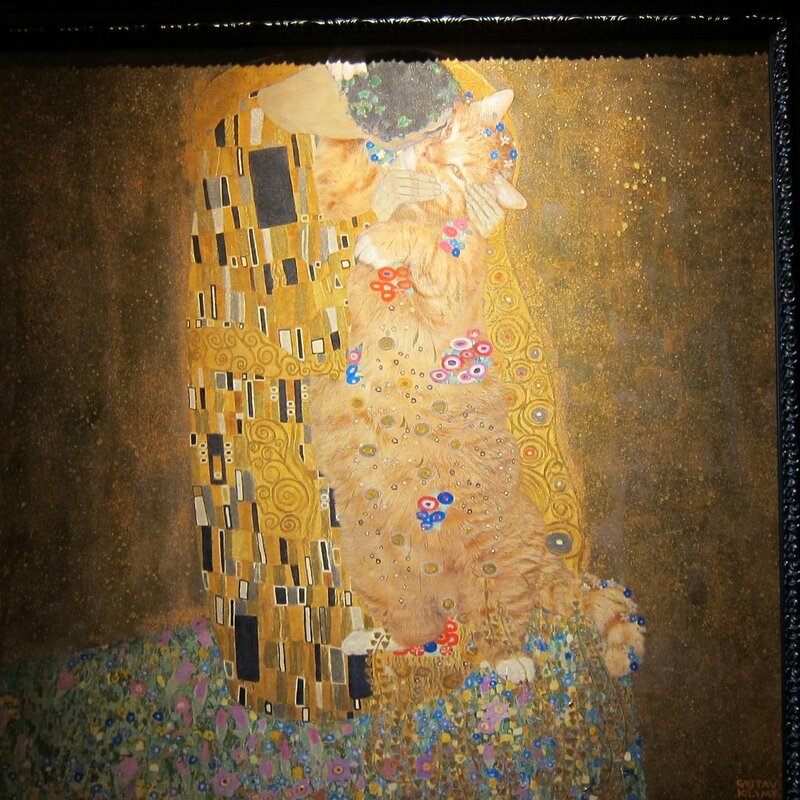 Fat Cat Zarathustra the Cat is artist Svetlana Petrova’s cat. 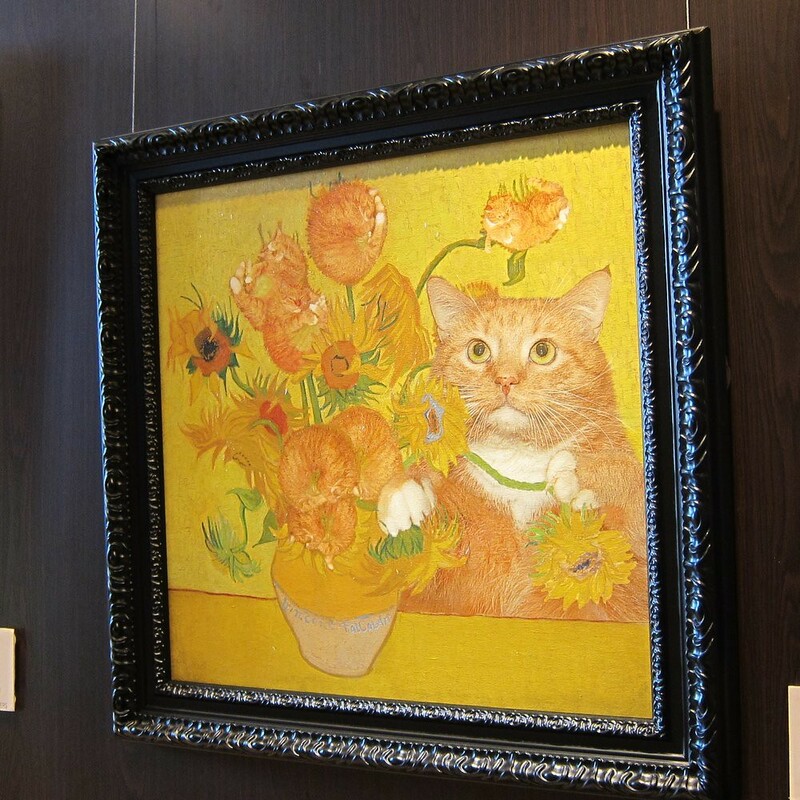 She digitally implanted the ginger cat into the different art pieces. And those blew up on the internet. 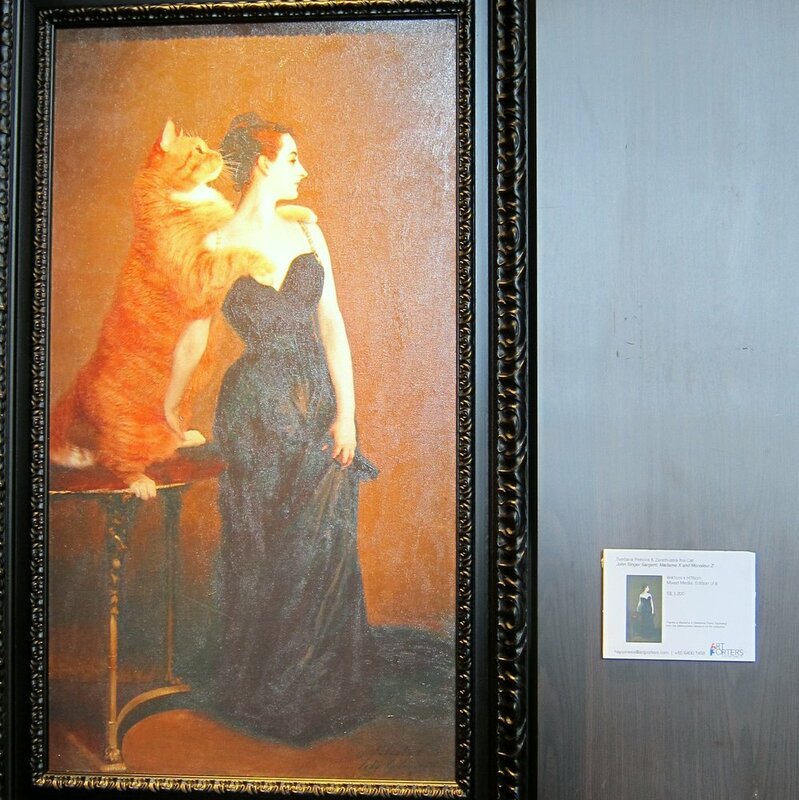 And if things can get any more weird (aka delightful in my dictionary), Svetlana’s art pieces are now in an exhibition (“Meows in Museums”) at The Fullerton Hotel Singapore until 30 October. She even flew to Singapore for the opening. 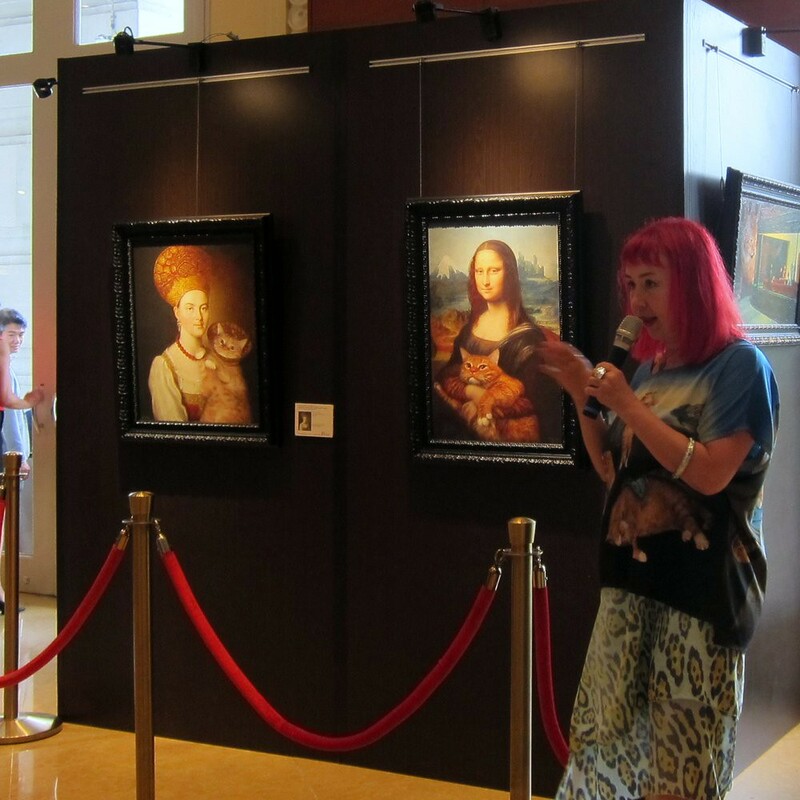 Svetlana Petrova, the creator of Fat Cat Art and personal assistant of Zarathustra the Cat, explaining her artwork. Svetlana gave a talk on the 20 mixed medium art pieces on display (and for sale). She opened on a more serious note about how she creates the works. 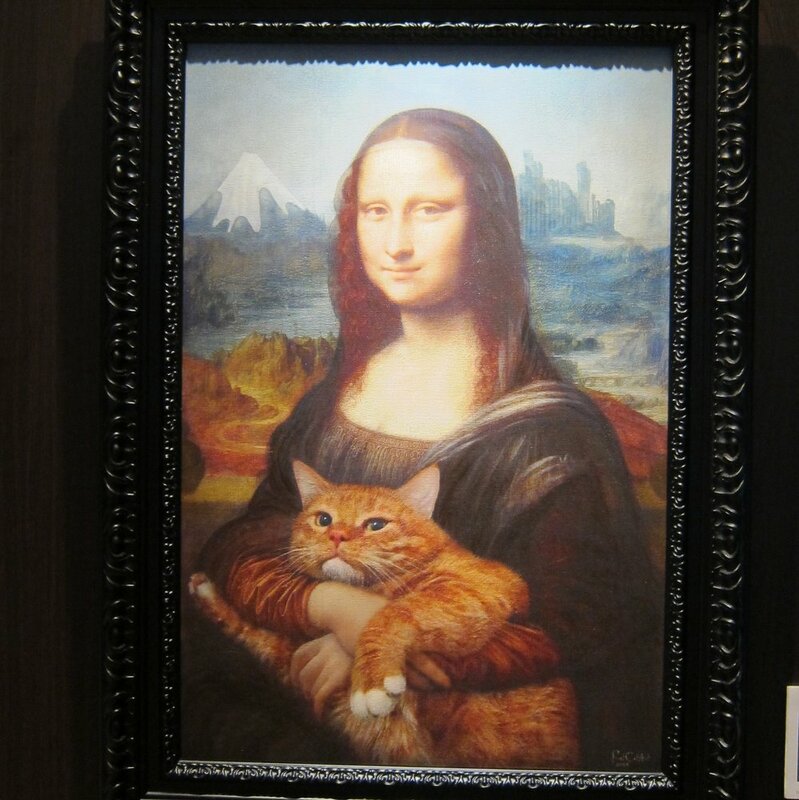 For example, how the Mona Lisa with Fat Cat is a more accurate representation of the colours Leonardo Da Vinci had created. The current version in the Lourve has layers of varnish which causes the image to look darker than it was originally. She said it is quite difficult to pose with Zarathustra the Cat because he is so fat. When she tried to put him on her lap to pose for the Mona Lisa, he would slide off. When she said it, I imagine a fluffy, tubby pillow falling off my lap. The cat loves to pose but he’s quite a diva too so it takes months to find him in the right poses. After the serious discussion, the talk then turned into a *wink wink* explanation about why there are cats in the art works. 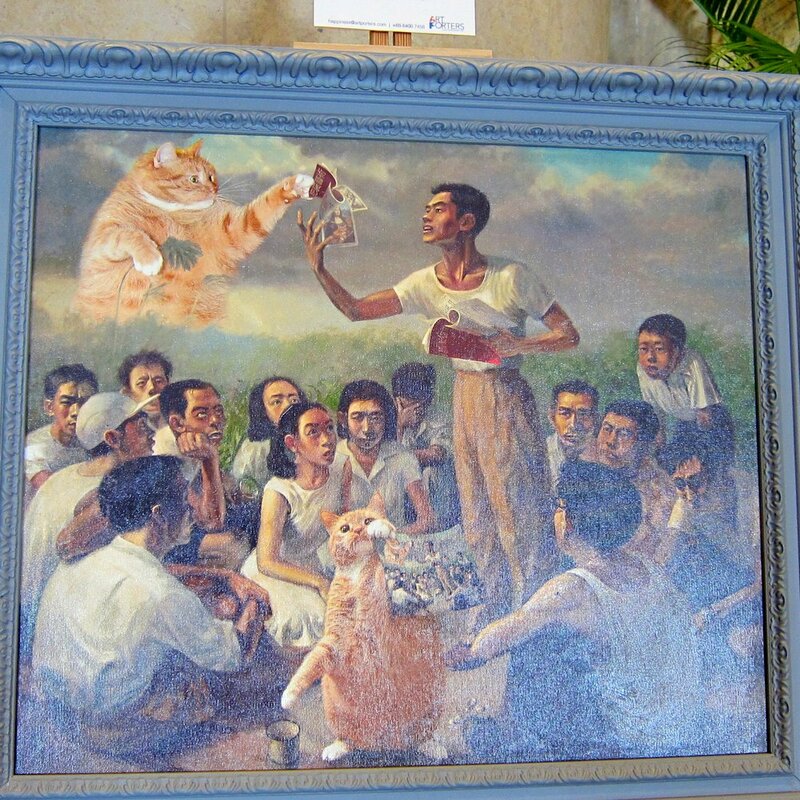 The story goes: The artists painted the cat in but they were censored for political or religious reasons. It wasn’t until recently that the “originals” with a furry ginger were discovered. I’d recommend anyone who likes internet cats and art to come see the exhibition. Even though it’s very comfortable to sit at home and scroll through the digital versions of Fat Cat Art, there are some art works that need to be seen in person. Looking at different angles, you’ll see Fat Cat in different poses. In this example, Zarathustra appears in different poses depending on where you’re standing. Svetlana the artist used a printing method (maybe this?) to create this effect. For the other art pieces, she (and perhaps a team of assistants) use paint on top of the printed art work to create “real art” (as opposed to printing it out digitally as posters). I’ve always loved looking at the dabs of paint in impressionist paintings. A local version of Fat Cat Art. 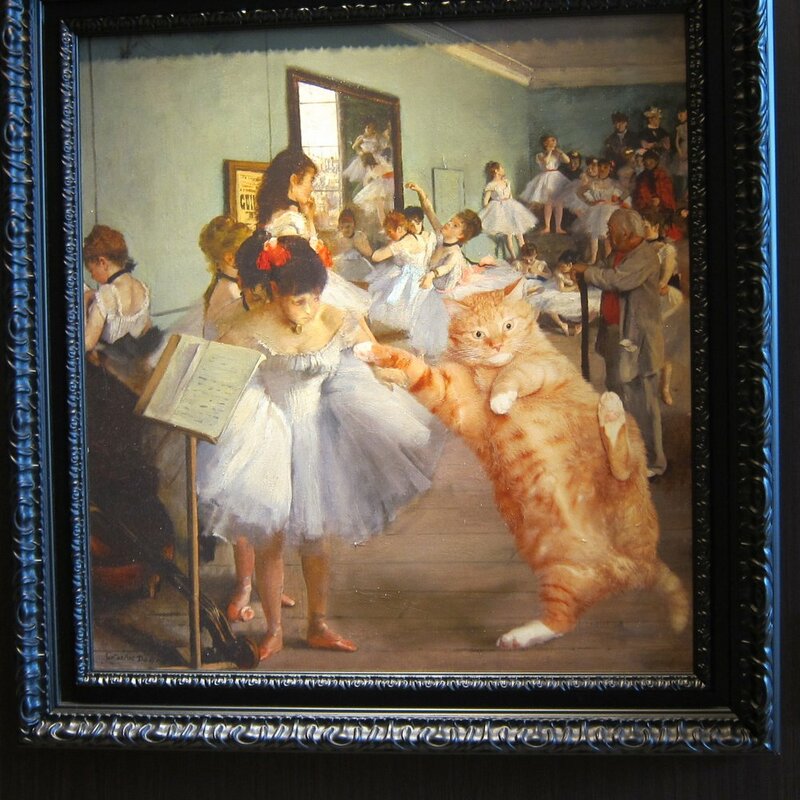 In ballet, there is a step called Pas de Chat which translates to “Cat’s Step”. Here is the cat teaching the little girl the steps. The Kiss. Is the cat tolerating the kiss or will the man be scratched? If you’re tempted to buy the art work, they go from S$3,500 to S$4,000. Download the catalogue for the exhibition.